WOW! 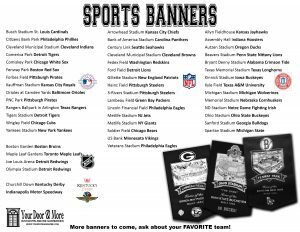 Can you believe you can win a Sports Banner from Brenda Priest. I send a quarterly newsletter to share specials, new merchandise, announcements, special events and locations to see/purchase my work. If you are too excited to wait until March 31, email me to purchase your own banner.